These instructions are the same as for Joomla! 1.6 and Joomla! 1.7. Some images may be clicked for full size versions. that helped me out loads thanks! I was trying to use the ?tp-1 think but it would not work. The article for viewing module positions is here. I assume that is why you types in ?tp=1. This site does not run on Joomla! it runs on WordPress. You can read my article on why I changed here. thanks for the info. its a wonder why its not easier. this is only showing me some of the possible module positions..
do you know if i can see ALL module positions? It’s a security feature. Normally, you want to minimize access to the internals of your site as much as possible – you only want to provide access to your content, not how the site is working behind the content. This was a change that was introduced in version 1.6 of Joomla! Thanks for letting me know. It is hard to know if information was of any use when people comment and then disappear. The only reason I can see for you not having template options in template manager is that you are not authorized to see / use it. 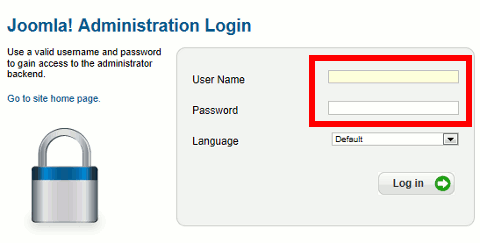 Joomla allows creating accounts with quite a lot of control over what is allowed for each user. If you did not set up the Joomla! site, then it is likely you have a non-superuser account which restricts you from certain operations on the site. You can ask the site manager if they would be willing to give you the additional permission. 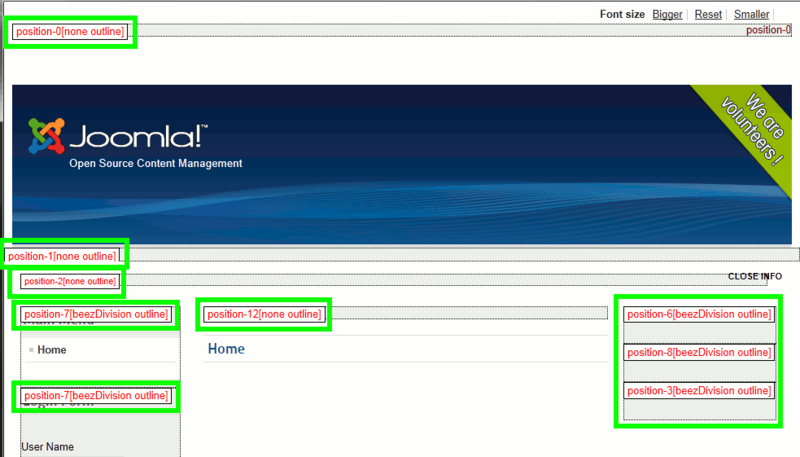 Alternatively, you can create your own Joomla! install, use the same template and then see where the module positions are. I installed joomla 2.5 on my localhost. Also, I enabled the Preview Module Positions on the template options. After I appended ?tp=1 behind the link, just constantly it brings me to the google.com – site. Weird, right? Have anyone of you an idea? Yes, I recieved your original comment. I have comment moderation enabled because I get a lot of comment spam (even with spam filters in place). I agree, that is a weird symptom. Thanks for this. 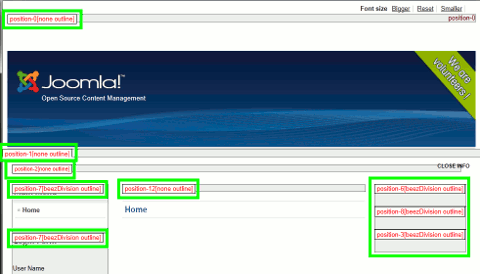 I just installed Joomla 2.5 and began reading tutorials, many of which are for v1.5. When I read “?tp=1” and thought ‘hey, cool, lets try it out’ and it didn’t work I began to worry… Its pretty logical to hide this feature, though, as you said, for security reasons. Thanks for your comment and I’m glad I was able to help you out. One of the problems I find in searching the Internet is that so much information is outdated. I do try to keep my posts up to date, but … I can’t be on top of everything.